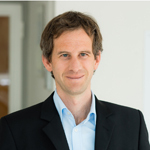 Sven Leitinger works as a researcher at Salzburg Research. He is particularly interested in the development of mobile applications and location based services within the fields of public transport, pedestrian navigation and disaster management. Sven Leitinger	(2011): TellMeTheWay – A speech-based travel-companion for intermodal routes in public transport. In: Presentation at 6th IIID Expert Forum Traffic & Transport Information Systems, 8 - 9 September 2011, Vienna. Sven Leitinger, Günter Kiechle	(2009): Entwicklung und Test eines ortsbasierten Notrufsystems für Smartphones in alpiner Umgebung. In: W. Reinhardt et al. (Eds. ): Geoinformatik 2009 - Konferenzband, ifgiprints 35, Münster, Germany. Sven Leitinger, Bernhard Lorenz, Günther Kiechle	(2008): GPS-Notruf – Prototyp eines ortsbasierten Notrufsystems von GPS-Smartphones. In: Proceedings AHORN 2008, Salzburg.